MRI of patient 12 of the publication by Conti and collaborators. 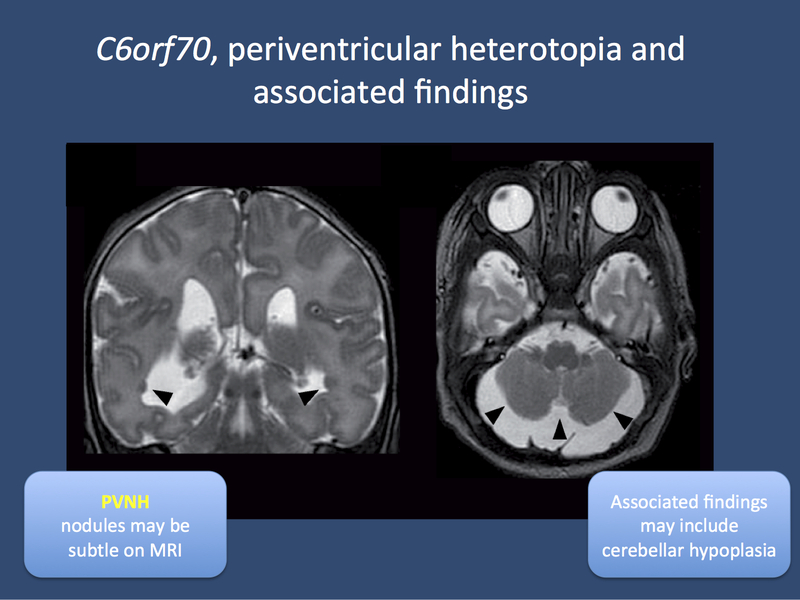 The patient has periventricular nodular heterotopia (PVNH) and associated findings including cerebellar hypoplasia (right panel). The patient carried a 1.2 Mb deletion of Chr 6q27 including six genes. One of these genes is C6orf70, which is thought to be the causative gene for PVNH. PHF10 and DLL1, two other genes in this critical region expressed in brain, may account for the associated findings.